Shortlisted for the Blue Peter Best Book of the Decade. A World Book Day 'Recommended Read' for 2011. 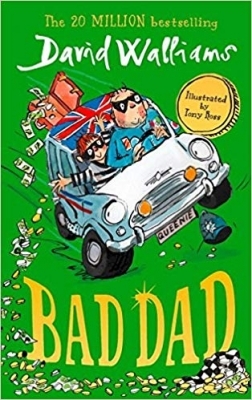 Shortlisted for the Roald Dahl Funny Prize 2010. 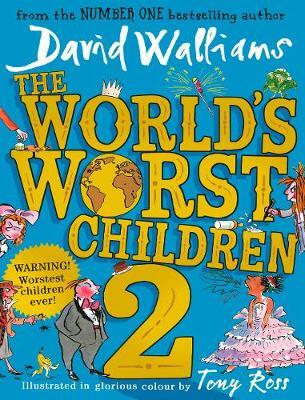 Galaxy Children's Book Award shortlist 2010.The second original, touching, twisted, and most of all hilarious novel for children by David Walliams and beautifully illustrated by Quentin Blake. "Mr Stink stank. He also stunk. And if it was correct English to say he stinked, then he stinked as well…” It all starts when Chloe makes friends with Mr Stink, the local tramp. Yes, he smells a bit. But when it looks like he might be driven out of town, Chloe decides to hide him in the garden shed. Now Chloe's got to make sure no one finds out her secret. And speaking of secrets, there just might be more to Mr Stink than meets the eye… or the nose. 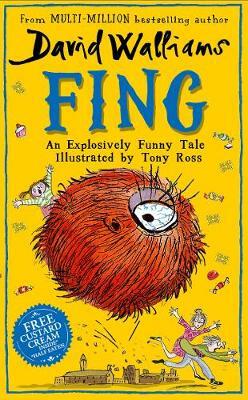 The second original, touching, twisted, and most of all hilarious novel for children by David Walliams -- beautifully illustrated by Quentin Blake. Mr Stink stank. He also stunk. And if it was correct English to say he stinked, then he stinked as well! It all starts when Chloe makes friends with Mr Stink, the local tramp. Yes, he smells a bit. But when it looks like he might be driven out of town, Chloe decides to hide him in the garden shed. Now Chloe's got to make sure no one finds out her secret. And speaking of secrets, there just might be more to Mr Stink than meets the eye! or the nose. Mrs Lisa Young, Hutton Primary, Lockerbie: I thoroughly enjoyed Mr Stink and enjoy David Walliam's humour. It is great to read a book that approaches difficult social issues with family life that everyone can relate to! Clair Mathewson, Dulwich College, London: The boys in my class thoroughly enjoyed reading the extract from Mr Stink - a fabulous story! Tanya Lochery, St Peter's Catholic Primary, Stalybridge: The children really enjoyed this book!an excellent book that I would recommend to other children in years 5 and 6.